Stay informed on a daily basis about the latest issues concerning Indigenous Peoples: conferences, documentation, international processes, discussions, etc. "Criminalization of indigenous peoples’ rights defenders, indigenous migration, indigenous women’s rights… the new Update nº113 is out!" To be a Docip volunteer involves putting one’s skills at the service of indigenous delegates during their participation in the UN arena. Stay informed about the latest news concerning Indigenous Peoples. Sign up for our mailing list! 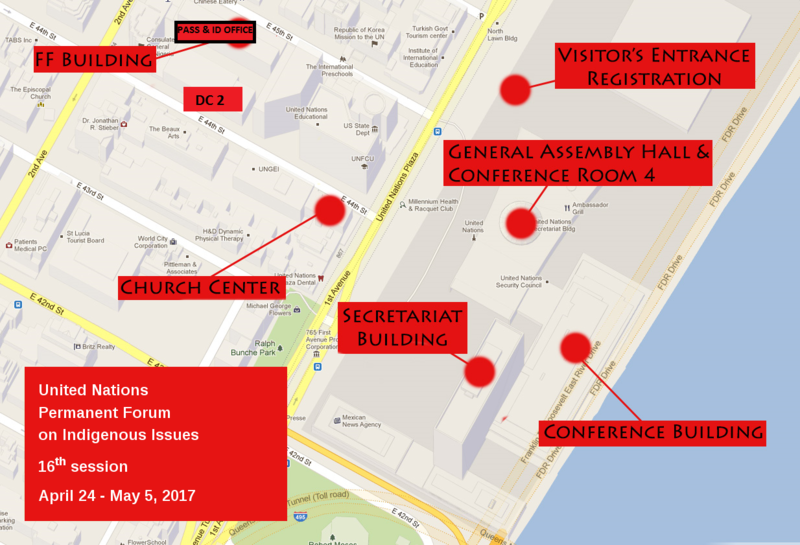 Docip is pleased to inform you on the official programme and the side-events at the Permanent Forum on Indigenous Issues in New York. For last minute changes you might want to follow ou twitter account and consult the information screens at the UN. This document is licensed under the Creative Commons Attribution-NonCommercial 4.0 International License.